The theme over at The Gallery this week is self-portrait. As soon as I saw that I knew which photo I was going to use for it. It’s not a recent one – in fact it’s almost four years old, but it remains one of the few pictures of myself that I really love. 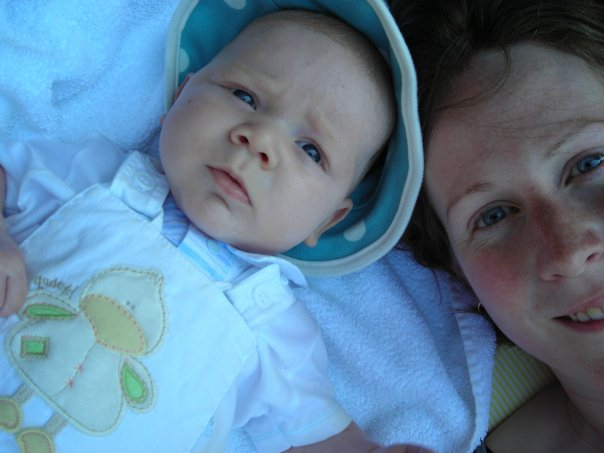 I can’t remember exactly how old DorkySon was – just a few months I think – but I do remember that this was the first day after he was born that it was warm enough for us to spend an afternoon out in the garden.